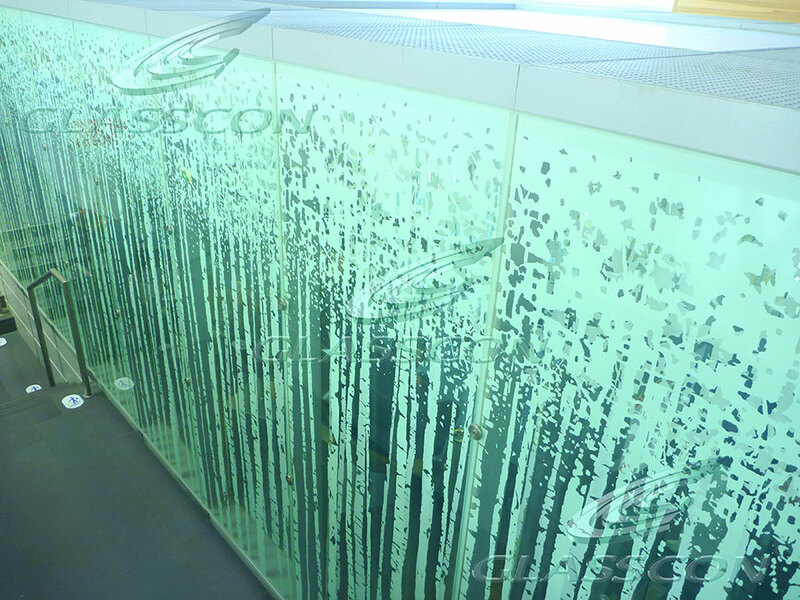 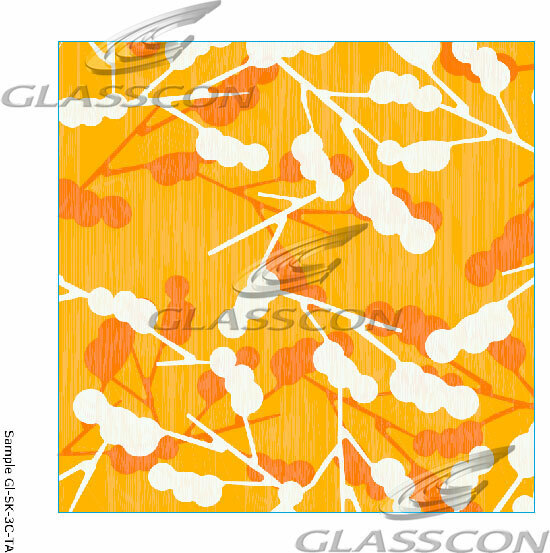 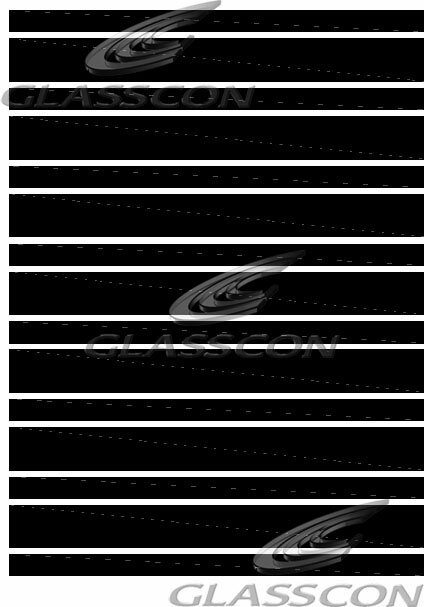 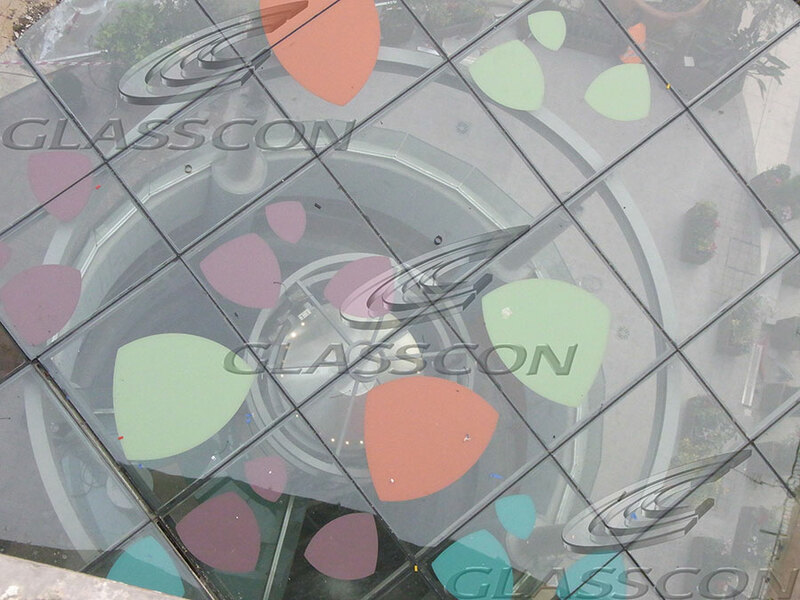 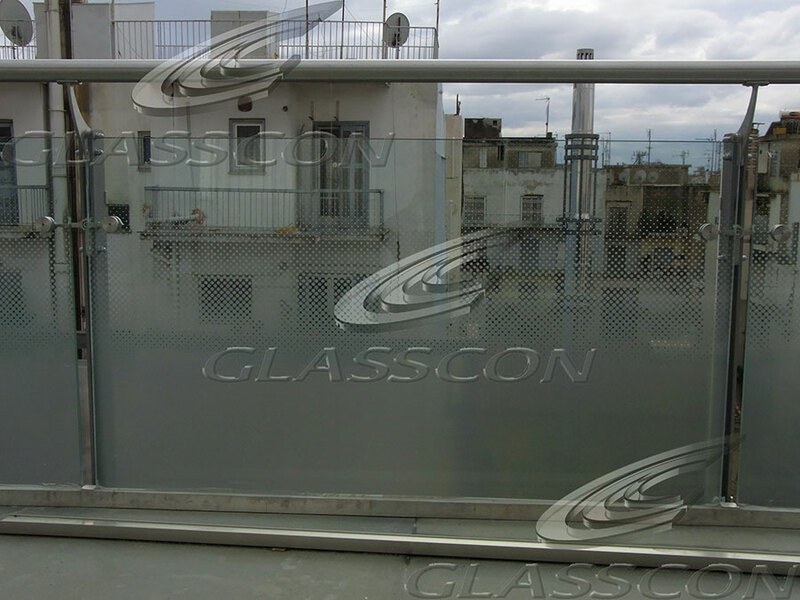 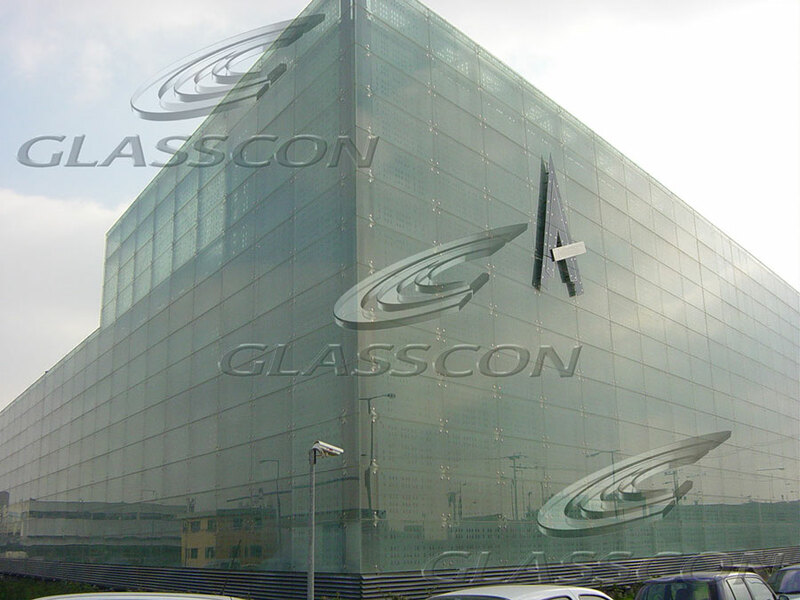 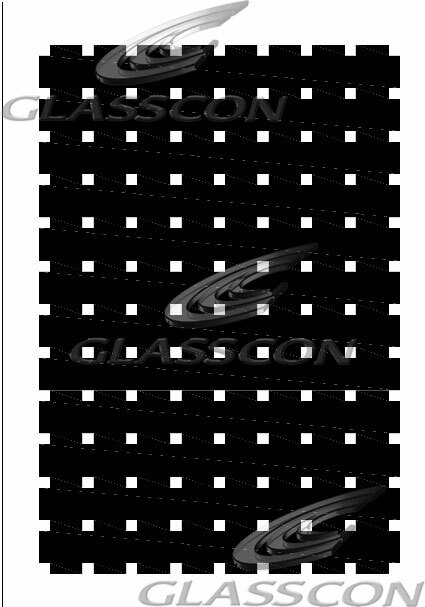 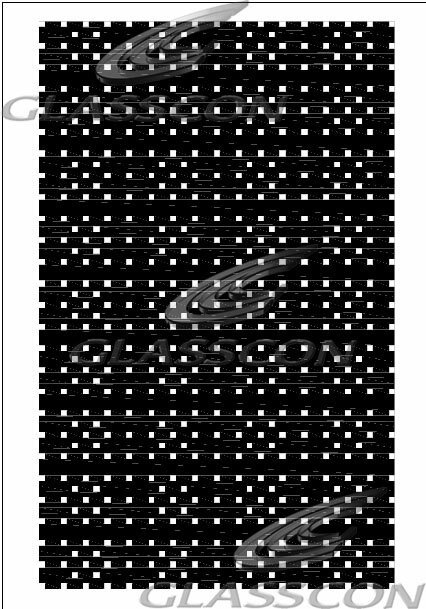 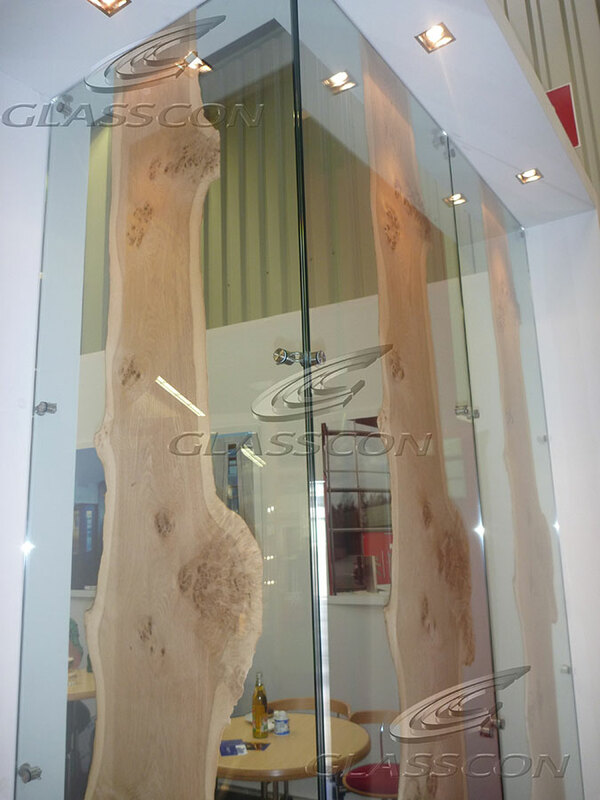 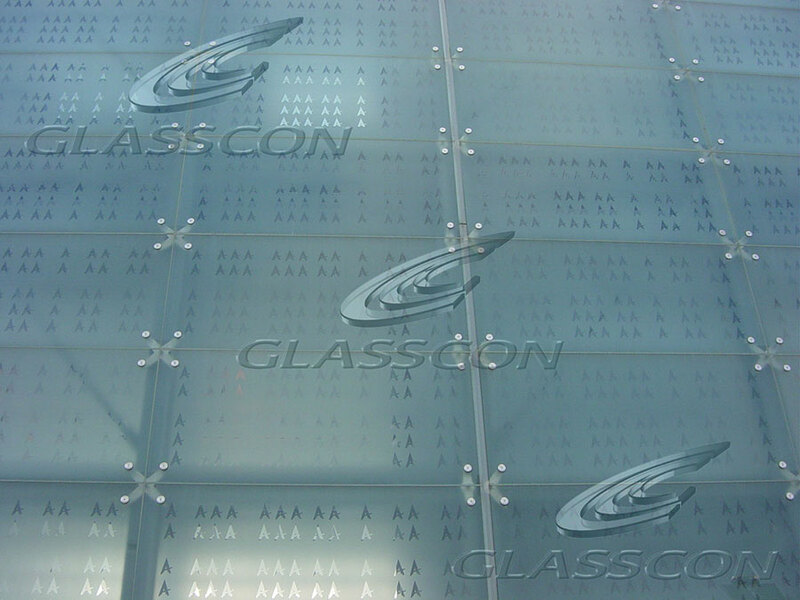 glasscon GLASS FRIT, CERAMIC GLASS, FRITTED GLASS, SCREEN PRINTED GLASS is an enamelled, heat-soak tested, thermally toughened safety glass in accordance with EN 14179-1. 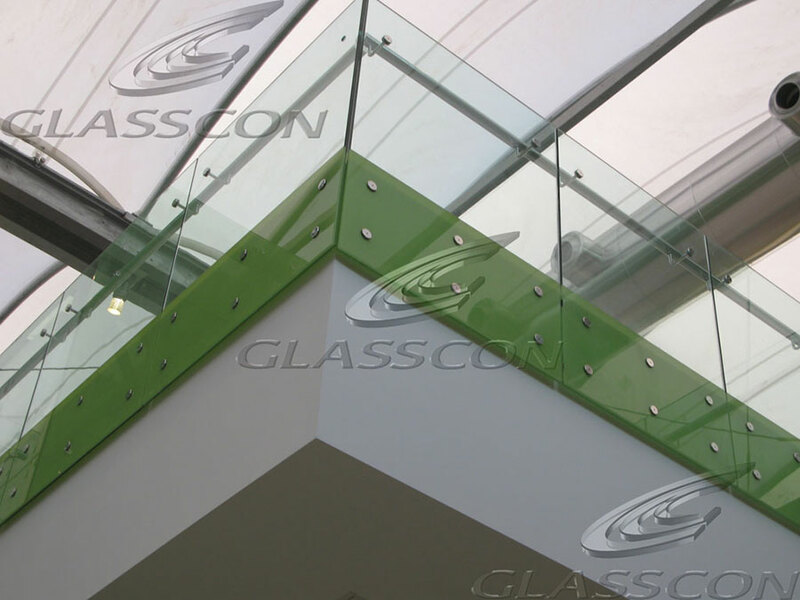 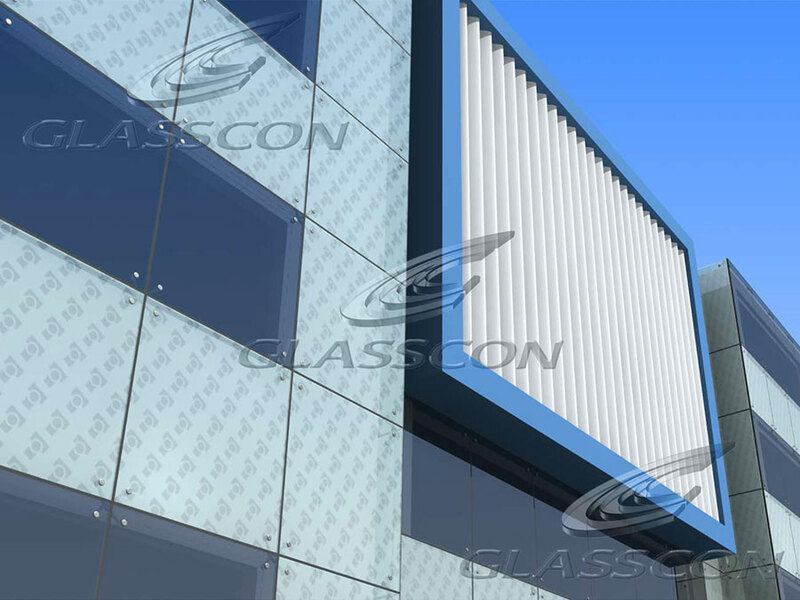 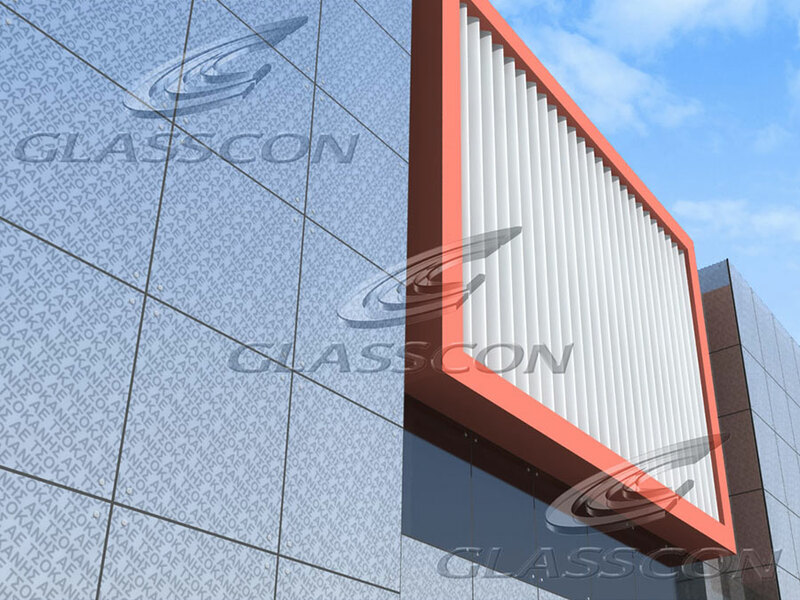 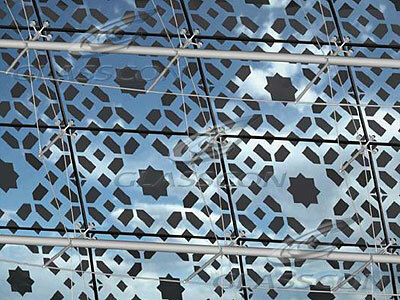 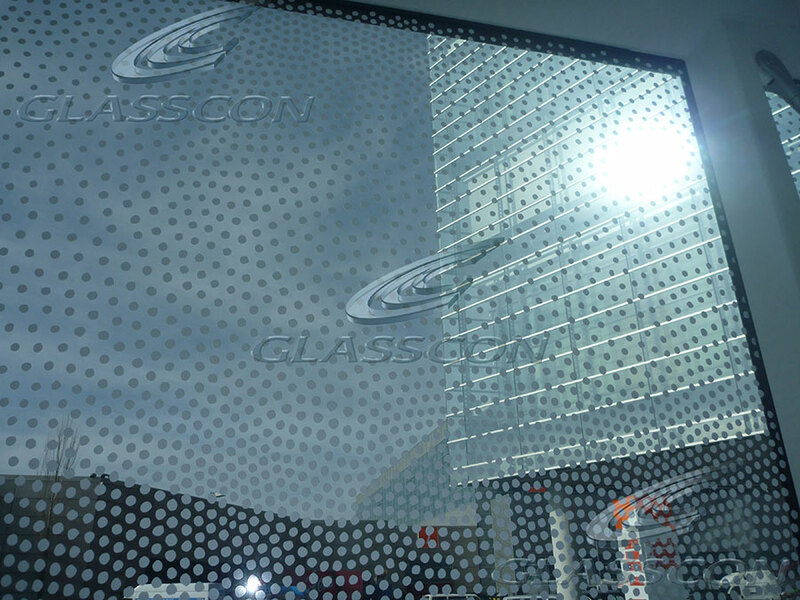 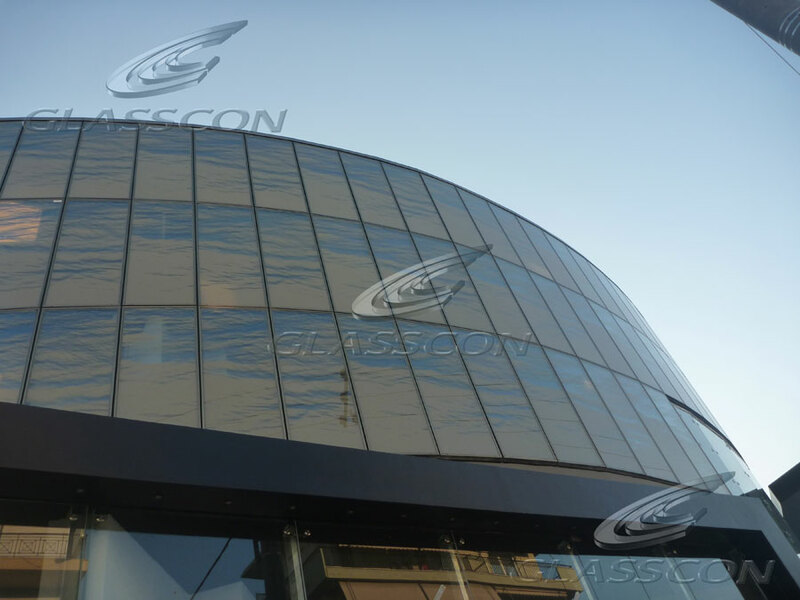 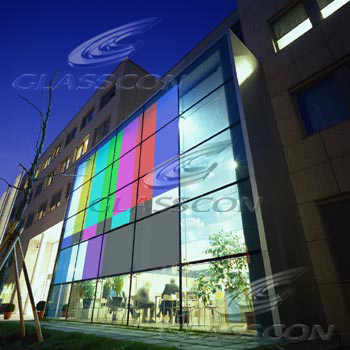 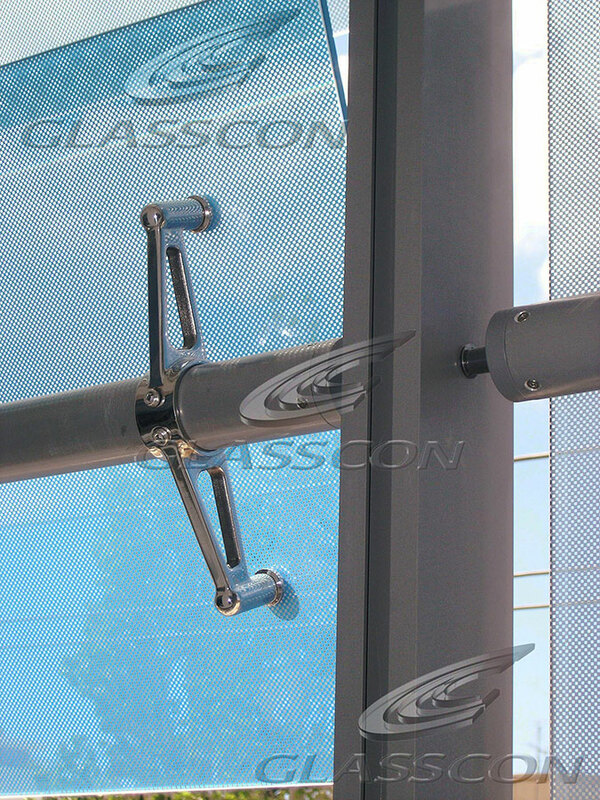 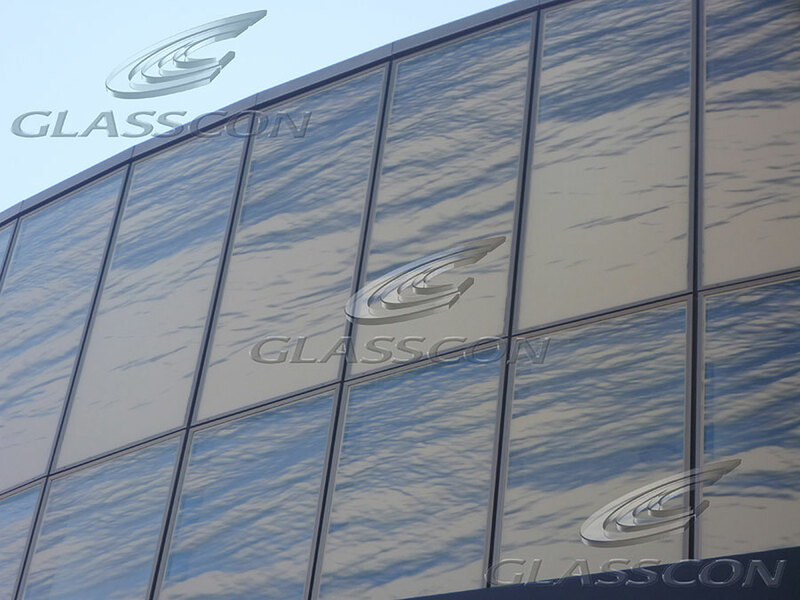 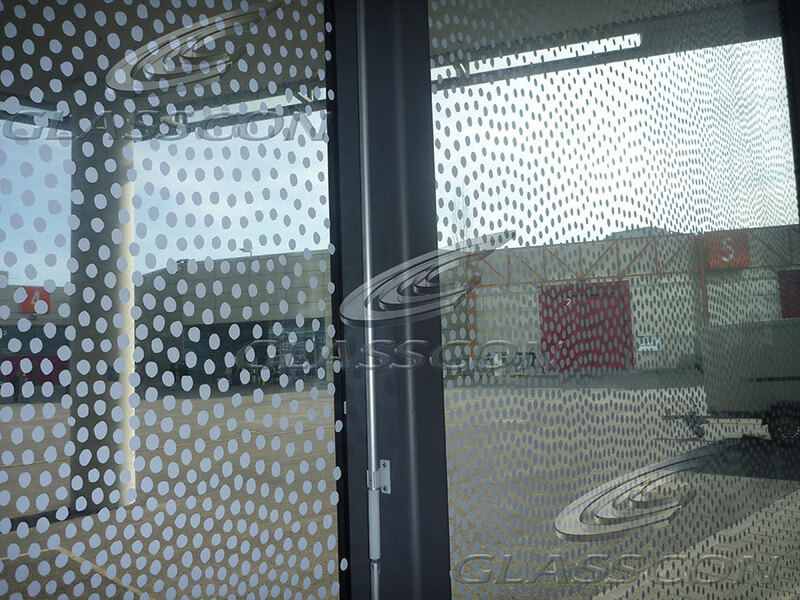 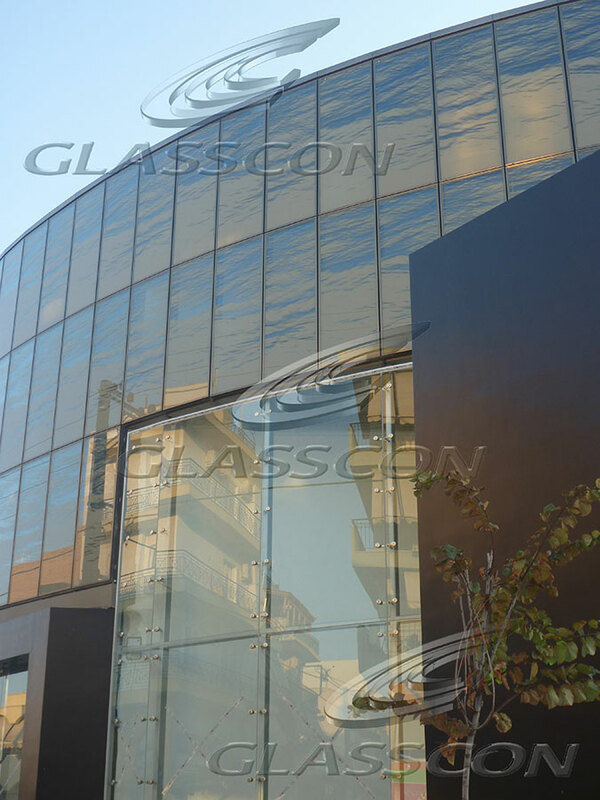 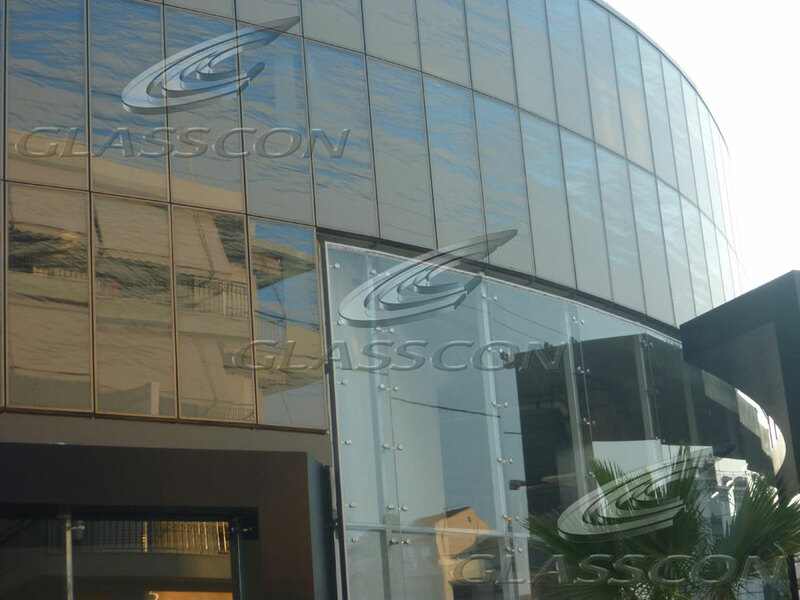 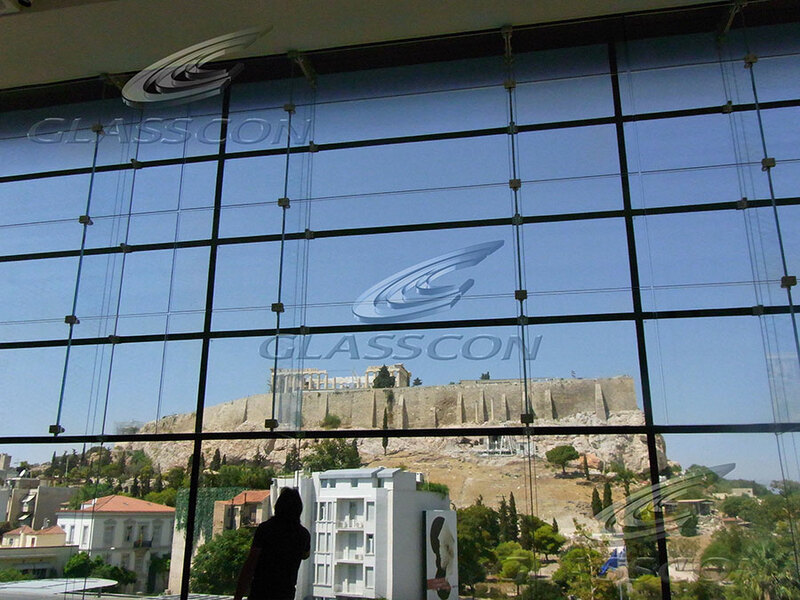 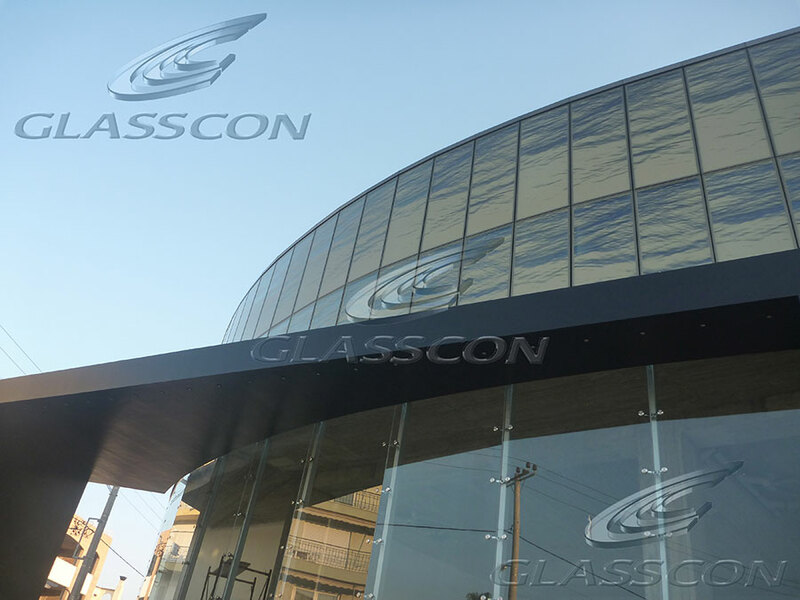 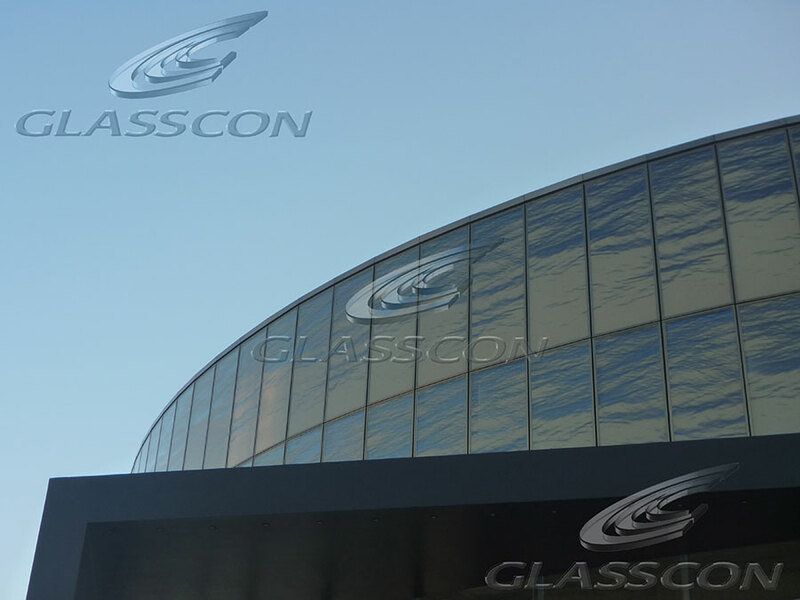 The characteristics of glasscon silk SCREEN PRINTED GLASS: colourfast, light- and weather resistant, resistant to temperature change and its ease of maintenance predestine its use for facade and interior designs. 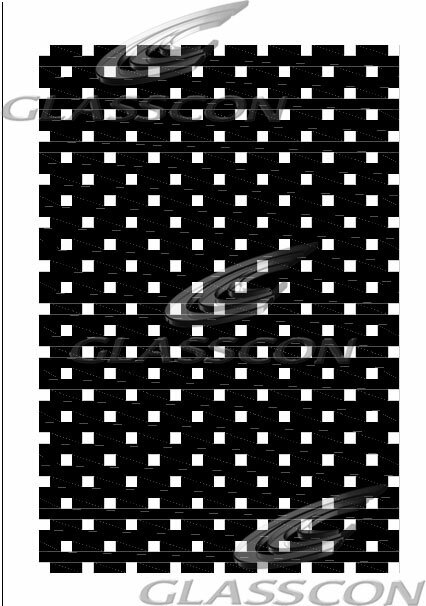 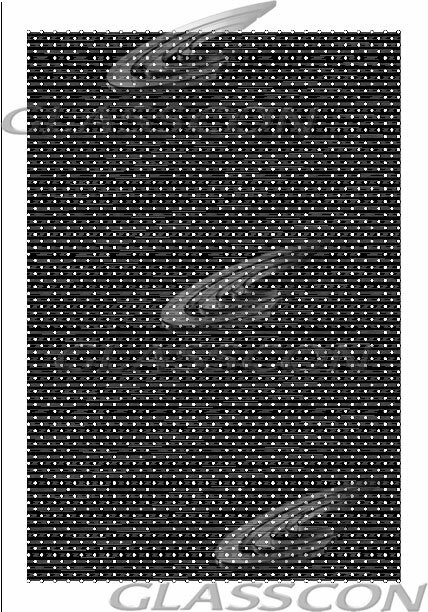 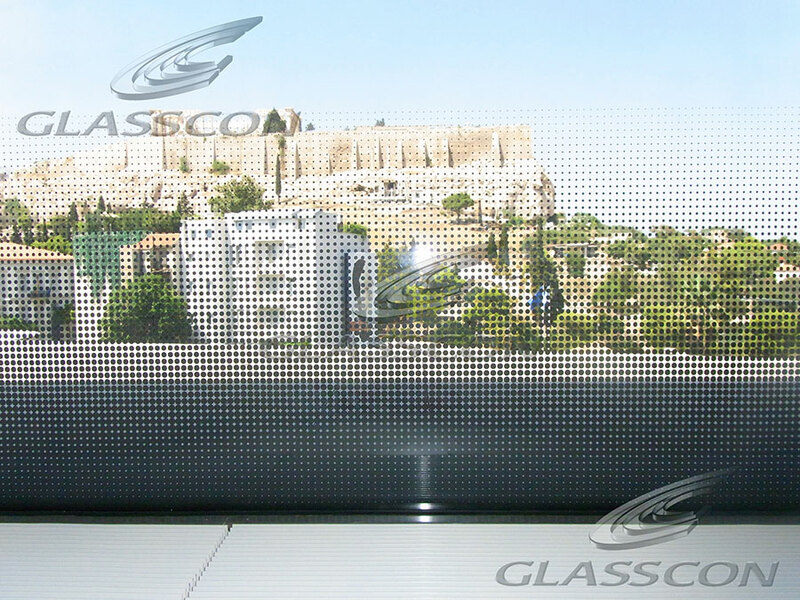 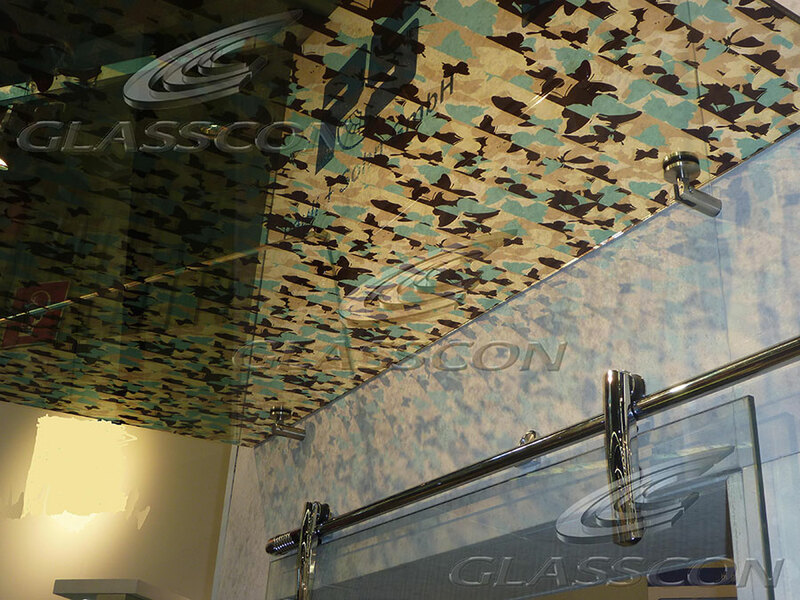 GLASSCON offers also DIGITAL PRINTED GLASS panels in any design, picture or color. 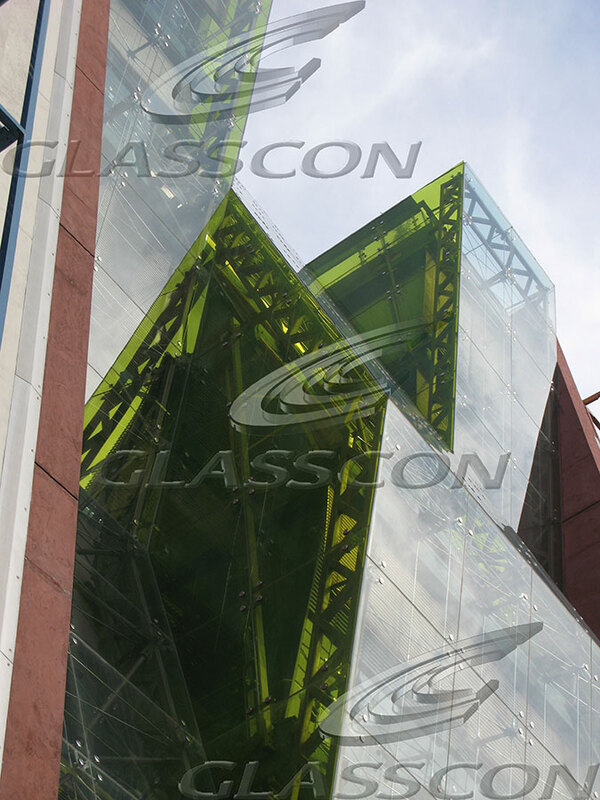 Designers and Architects are discovering more and more applications for glass in interiors & exteriors. 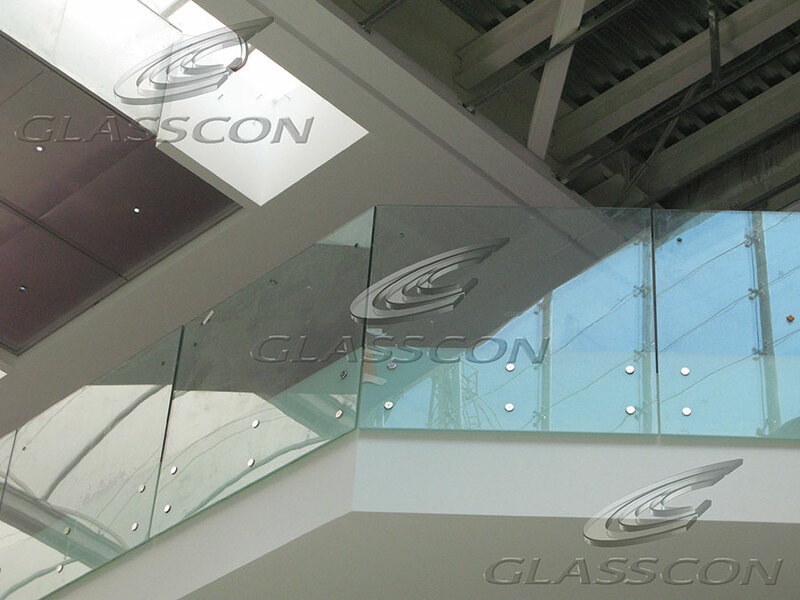 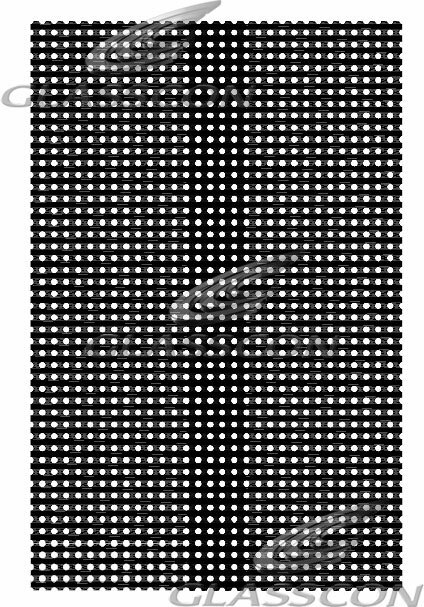 Its transparency and particular aesthetic provide an enormous potential for design. 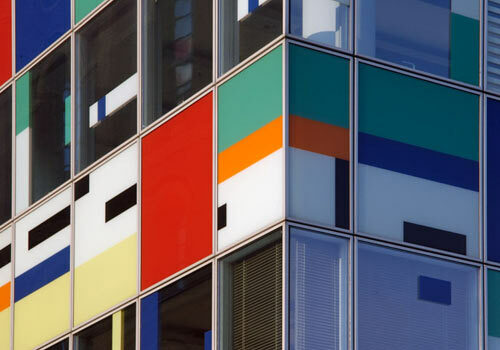 The architectonic play with colour, surface reflections and light accentuate space and function. 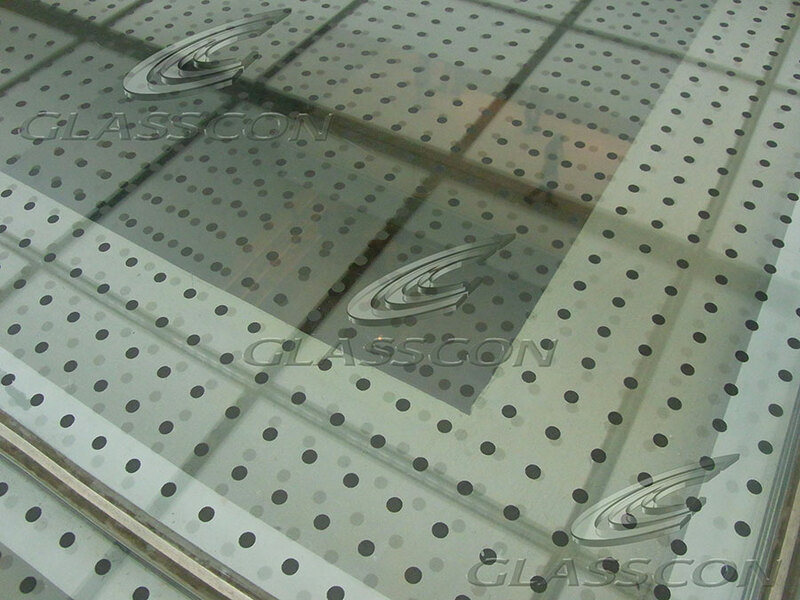 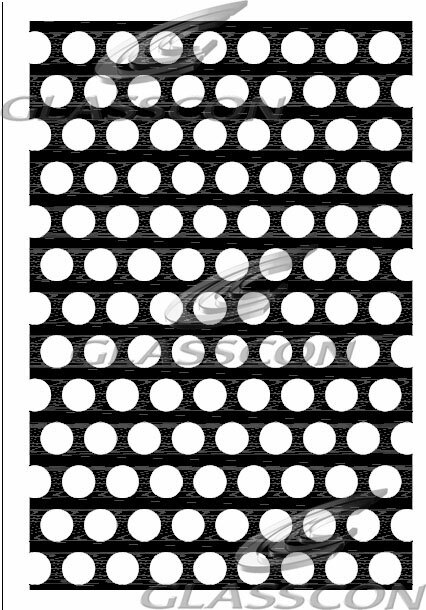 A ceramic frit is coated on the reverse surface typically applied by rollers - it is tempered and in a special process undergoes a Heat-Soak-Test. 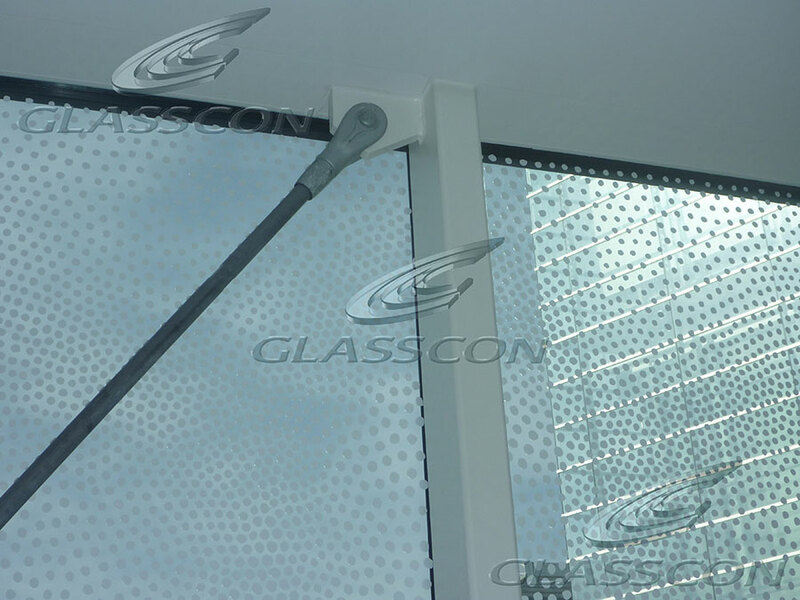 This process heats the glass intended for safety applications under controlled conditions up to 290 °C and holds it at this temperature for at least four hours. 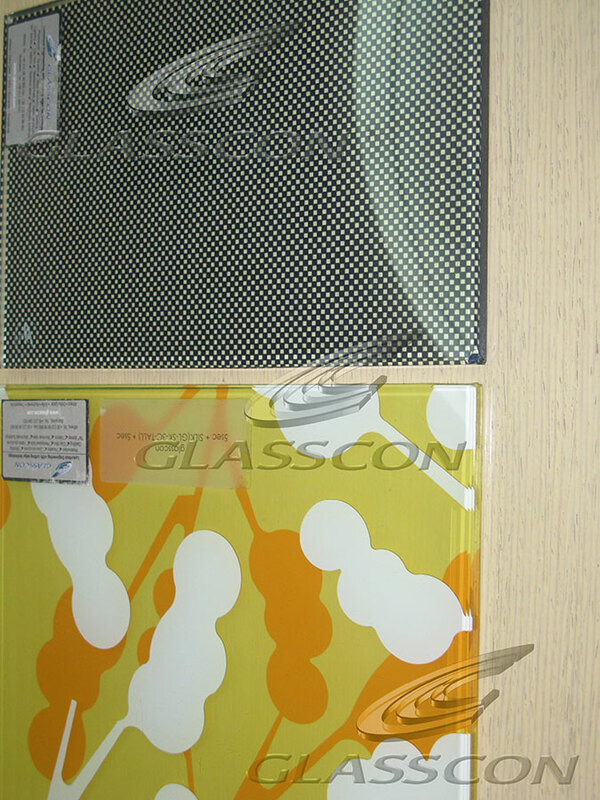 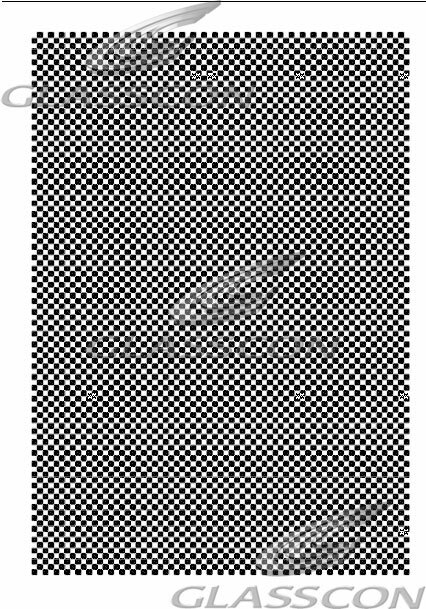 The temperature of the glass must not go below 280 °C nor exceed 320 °C. 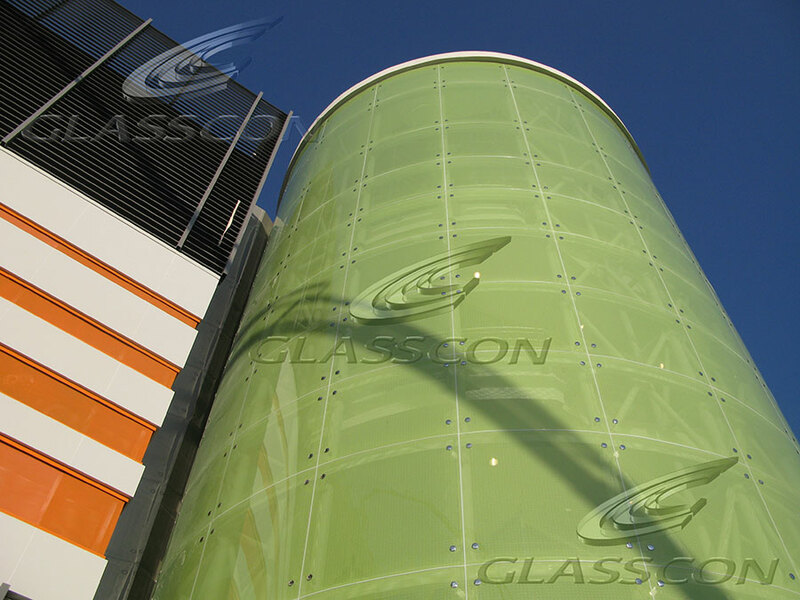 This procedure therefore fulfills the required basic technical safety aspects (GruSiBau). 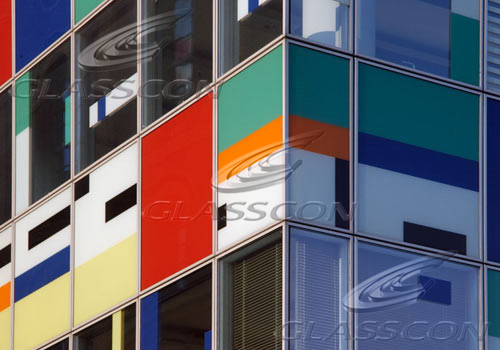 The standard range of colours covers a choice of 50 colour tones - the majority of which comprise of ecological and lead-free components.